Marketers know that quality content and smart SEO are essential for driving toward their marketing goals, but that doesn’t mean success is easy to come by. With 53% of B2B marketers reporting their content marketing is only moderately successful, and another 23% reporting it as not at all or minimally successful, it appears that the majority of B2B marketers are struggling to see noteworthy results. 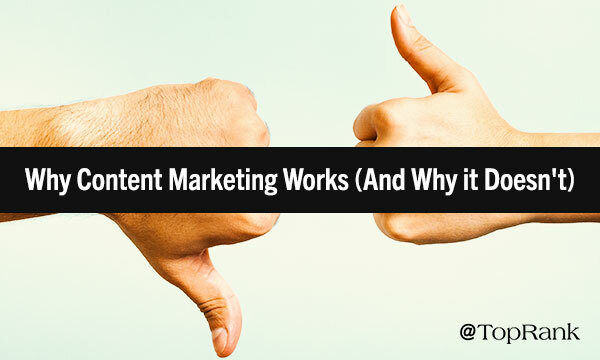 So, how can marketers improve their content marketing and achieve success? The answer is in the data. More specifically, it’s in the insights you can glean from your data, especially SEO-related data. Every marketer has access to this data. 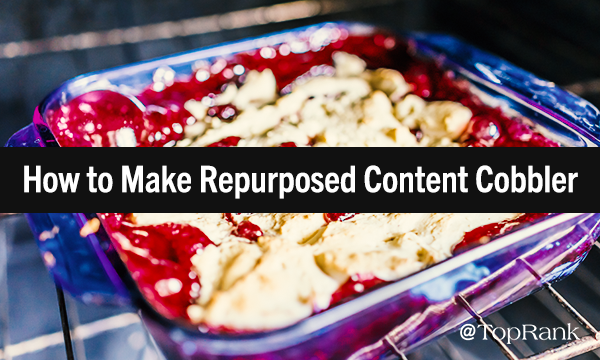 And it’s time to take that data, analyze it, and use it to inform your content strategy to create customized, relevant, and insightful content that is more valuable to your target audience. But knowing where to start on your data-informed and insight-driven content marketing journey isn’t always clear. These two words, which routinely appear on the title screens of video games, present both a prompt and a promise. You won’t advance until completing this simple command, but once you do, a world of adventure awaits. 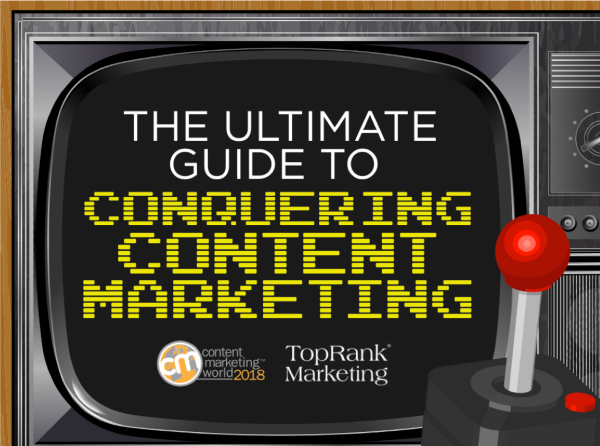 You can “press start” on a brand new CMWorld experience by scrolling down and clicking into our Ultimate Guide to Conquering Content Marketing. Prepare to explore new stages and levels with a host of top players in the content marketing game as we unlock the secrets to success in 2018 and beyond. When the going gets tough, gamers can navigate to the options menu and turn down the difficulty level. How convenient! 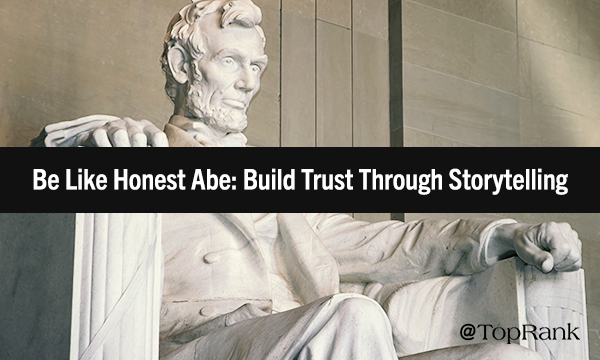 Storytelling is a fundamental staple of content marketing. This isn’t news. 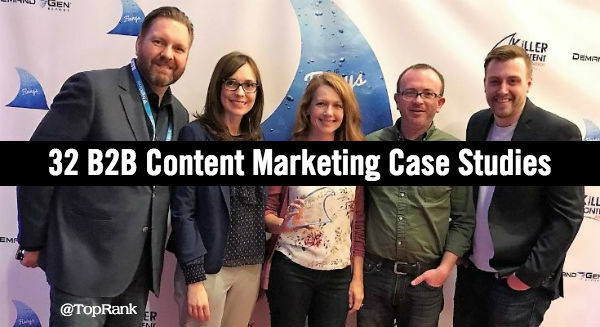 It has become a central talking point throughout the business world, and one we’ve discussed quite frequently here on the TopRank Marketing Blog. Compelling narrative is impactful for fairly obvious reasons: it captivates a reader, keeps them engaged, and tends to leave a lasting impression. The psychological power of storytelling has endured from ancient times, and outweighs any new technology or tactic that comes along. But one of the less-discussed benefits of storytelling might be among the most important in today’s context: it builds trust with your customers and prospects. Today, we’ll examine how this dynamic works and why every marketer should be on board. Engagement is down. Trust is dwindling. 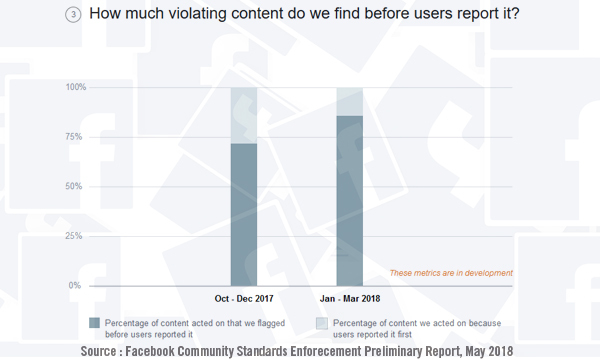 And the most popular social media marketing platform is now riddled with uncertainty. For marketers, the social space has never felt more daunting or perplexing. 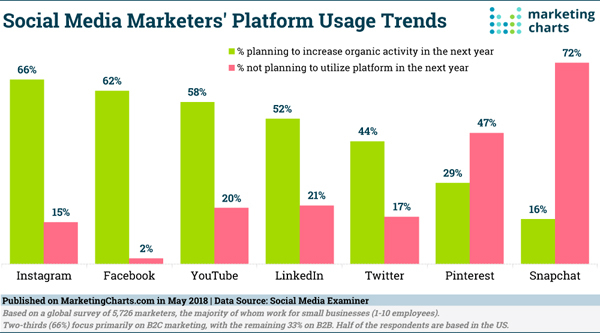 Luckily, Social Media Examiner recently released its 2018 Social Media Marketing Industry Report, the latest annual snapshot of where things currently stand in this critical frontier. While the report doesn’t answer all our questions, it does offer some helpful clarity and context. 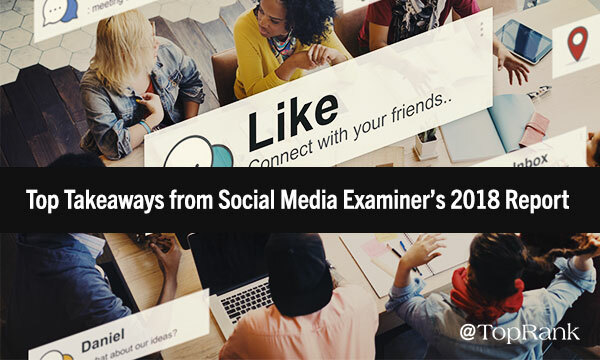 We’ve gone through Social Media Examiner’s in-depth report, which gathered input from more than 5,700 respondents, and distilled some of the most noteworthy nuggets for marketers to noodle on and insights on how you can improve your efforts. Here’s what you need to know about the state of social media marketing in 2018. Granted, it might not always feel that way. The current environment we operate in as marketers is a competitive one. But we do have the power to collectively drive our discipline forward, toward greater efficiency and productivity. This begins with sharing knowledge, and improving our understanding of the most prevalent challenges and obstacles being faced. In this spirit, we’ve partnered with our clients and friends at DivvyHQ to whip up a new 2018 Content Planning Survey, and we’d love your input. The idea is to gather data from a wide range of marketers in efforts to form a clear and accurate picture of how today’s content teams operate and where the key opportunities lie.